You’ve got an organizational logo you’re relatively happy with – your organization is effectively branded, right? Not necessarily. You might have a clear brand, but without looking at a number of other things, you won’t really know. I’m sure you’ve heard this a million times before, but your organization’s brand is MUCH more than just your logo. It’s your colors, your fonts, your images, your words. It’s how those elements are used across all your platforms – your website, your brochures, your publications, your social media channels, your banners, your public presentations, your press releases. It’s the total sum of all these moving parts – the tone and style of your work. It’s how your audiences feel about you and your work. So, just looking at your logo in isolation doesn’t give you much insight into whether your full brand is being expressed consistently and doing what you need it to do. 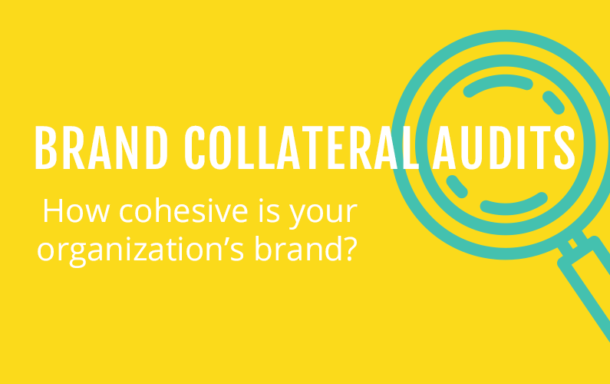 One of the tools you can use to get a birds-eye view of how your brand stacks up is a brand collateral audit. Sounds fancy, but it’s really pretty simple. Brand collateral is all the “stuff” that supports your brand – your website, publications, reports, etc. If you take a macro look at everything, it will give you a good idea of whether you’re expressing your brand consistently across all your collateral. NOTE: a brand collateral audit doesn’t look at whether you’re speaking to the right audience, delivering the right message or being understood in the way you hope to be – that requires a different kind of review and strategic planning process. If you’re not sure you’re targeting the right audiences in the right way, you may need to look at those, first. Collect all the different pieces of content that you have put out over the last year (or two) – screen shots of your website, your business cards, brochures, annual reports, publications, news articles, social media posts, etc. Start to list out the things that you are seeing – what colors and fonts are you using? What kinds of images are you using (stock images? pictures of groups or individuals? Action or static shots? Images that show the work that you do? Abstract graphics? Can you characterize the tone of the images? Color or black and white? High-resolution or grainy?) How is your logo used in each scenario? Is the placement and composition the same or different in different situations? What is the tone of the writing that you use (formal, conversational, sales-y, etc.) Is your mission statement worded consistently in everything? Do you have consistent or confusing calls-to-action or messages? Write up your impressions, making notes of areas that seem inconsistent or need attention. It can help to have a few people do this exercise independently and share results, or to do it collaboratively. What’s your “brand cohesiveness profile”? Once you have looked at everything, you should have a good sense of how consistent your brand expression is. Which one are you? The All-Together Brand: We are consistently using the same font, colors, image type, logo, etc. in our communications – there’s a clear and cohesive feel to our work that lets our audience know that it’s us that’s producing it. It’s easy to tell when something is our work. ACTION: If you don’t already have one, you’ll want to collect the information you discovered through the brand audit and document it in a comprehensive brand style guide. (If you already have one for your logo/visual design, you might want to expand it to cover additional elements like writing and messaging style, images and graphic styles and tones, etc.) Well done – keep up the good work! The Schizophrenic Brand: Our communications look like they’re all created by different people (maybe because they are?) While there’s a consistent thread through some of them, others are using colors and fonts a bit haphazardly, and there’s just not a cohesion holding all the work together. ACTION: You need to make some decisions that will help to guide your staff or external service providers to express your brand in a similar way. Select a primary display and body font to be used through all your communications (indications of size and placement are helpful in bringing things together, too.) Clearly define the primary and expanded color palettes that people should use – the CMYK, RBG/HEX and Pantone or other spot color as well. Clearly define which is the primary version of your logo, and how/when alternate versions (horizontal layout, white for dark backgrounds, etc.) should be used. Communicate decisions around the kinds of visual images you want to use – mainly black and white images of your beneficiaries, for example, or full-color, sensitive photo angles that don’t show the subject’s face or distinguishing features, for example. NOTE: I mention these here like they’re easy decisions to make – they’re not necessarily. There are a million and one font pairings you could choose from, and equally as many color combos, so don’t hesitate to reach out to a designer for help with this process if you don’t have the in-house capacity or need some additional help. A good designer will be able to expertly guide you through your choices, which are much more difficult at times than just picking two fonts you like and a couple of colors that “look nice together”. They can also help you document your choices in a style guide so that your staff can easily know what to use where, and even create templates that they can use for commonly-created pieces like reports and social media graphics. The “Everything but the Logo” Brand: We seem to have a pretty consistent look, but our logo doesn’t seem to jibe with the look and tone we’re going for. The logo is definitely the weakest link in our visual communications. ACTION: It might be time for a brand refresh. A skilled designer can take your existing logo up a notch (or completely retool it if needed) and have it better match the messaging and voice you want to convey to your audience. The Invisible Brand: What brand personality? What content? Other than the obligatory logo (if that), we don’t really generate any other content – just the required donor reports that we write in Word, and maybe a business card with our logo on it. ACTION: Eish, too much to talk about here! You need to get serious with your communication to let donors, partners and beneficiaries know you’re serious and not just a fly-by-night organization. Seek professional help! To guide you through the audit, I’ve put together a quick cheat sheet to make sure you don’t miss any important steps – you can download it below. I love this simple process for really getting you to look at the things you see every day in a different light. I’d love to hear what you discovered in the audit – please drop me a line or leave a comment below. Which profile are you? Anything surprise you? Any AH-HA moments? What actions do you plan to take to increase your brand cohesion? If you need any help to take action on any of the problem areas you discovered, I’d love to talk about how I might help. Contact me and we can start the conversation. Get Your Brand Collateral Audit Cheat Sheet! 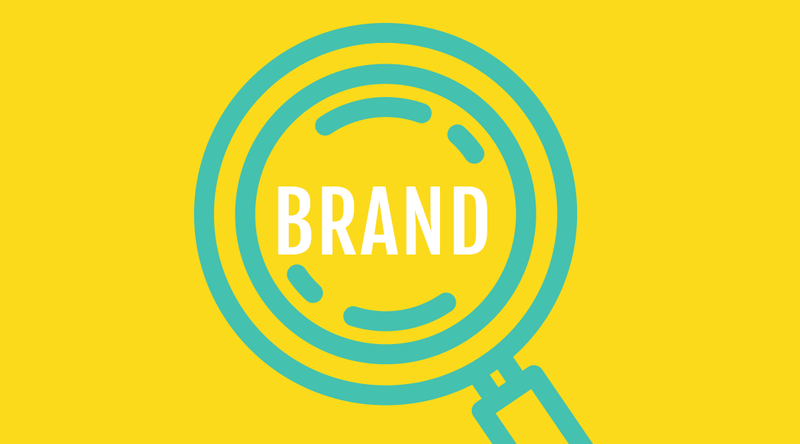 The cheat sheet will guide you step-by-step through your brand collateral audit, and give you some guidance about what to do once you know your brand cohesion profile. When you download the cheat sheet you'll also get access to our monthly-ish resource-filled newsletter and updates on other freebies and specials. Your cheat sheet is on its way! Check your inbox to get immediate access.